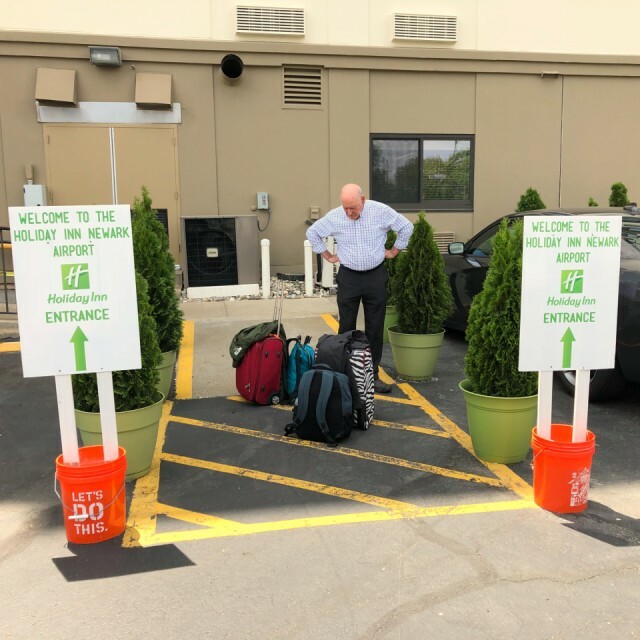 The Holiday Inn at Newark Airport is undergoing renovation and this is currently the “front” entrance. We got the airport shuttle there after a night in the hotel. We had an uneventful trip and even were able to catch an earlier shuttle up to Bellingham from SeaTac. We actually had fun zipping through the airport with me in front and Shelly behind using his white cane to keep track of where I was going by tapping my suitcase. Turns out I really love traveling with him. I know more trips will follow.